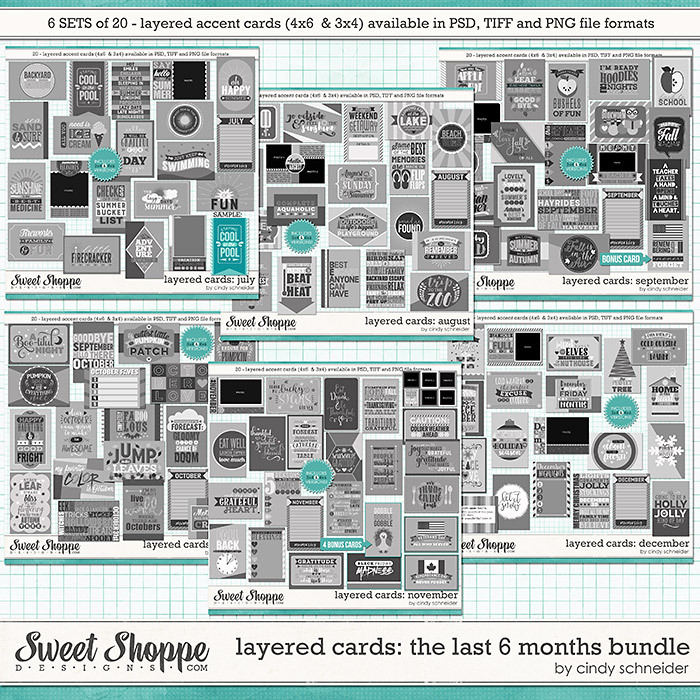 Save $$$$$ and buy these monthly themed layered card sets as a bundle! 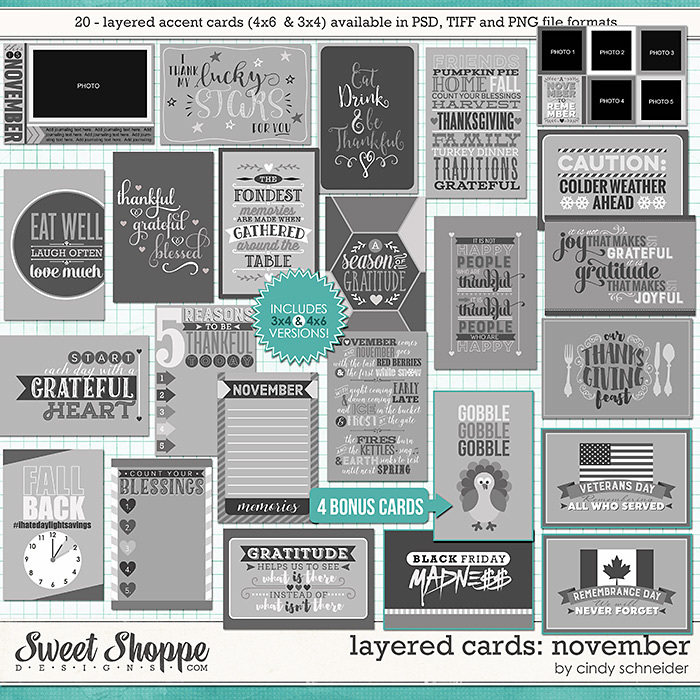 SIX digital scrapbooking monthly themed accent card template packs by Cindy Schneider. 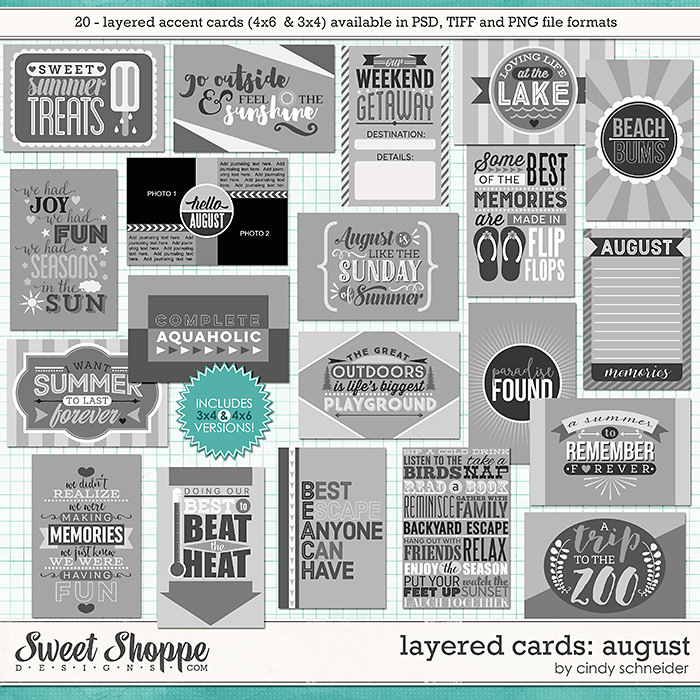 Use these monthly themed digital scrapbooking templates as a great addition to your layouts, they are especially perfect for those yearly projects such as P365, P52, Project Life! They can be completely customized to match the kit you are working with, and you can use them over and over again for a different look each time. They are the perfect accents to help scrap all of your photos from the last half of the year.....there is a card for everything! 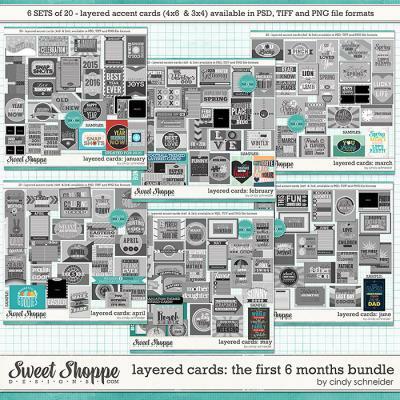 Purchase will contain Layered Cards: July Edition, August Edition, Septemeber Edition, October Edition, November Edition, and December Edition. All template files are available as PSD, TIFF and png file formats.